We have read that Lumia 925, Nokia’s latest mobile phone, will have a part in the upcoming Superman movie Man of Steel. Below you can see Lumia 925’s product placement from the Man of Steel trailer. We’ll soon see how big role would Lumia have in the movie: will it be just in a couple of scenes or will it have a prominent role. There is an interesting issue regarding product placement of mobile phones in the movies and/or TV shows: they get outdated very quickly. 1. According to a forum on KryptonSite Clark used a Motorola RIZR Z3 in season 8. 2. In the 11th episode of the season 7 we could have seen a Sprint Mogul Windows mobile phone. 3. There was another mobile phone in the tenth season: HTC Hero (pun intended?). 4. 1800 Pocket PC reports that Windows Mobile phones were often visible in Smalville. 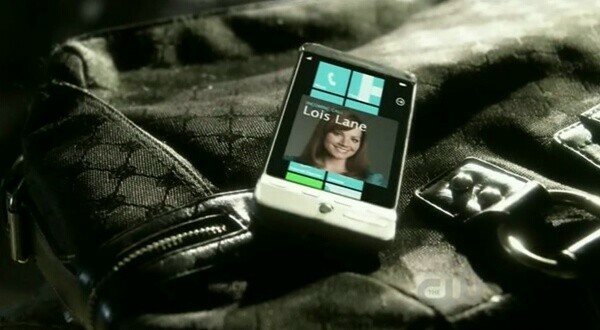 Here’s Windows Phone 7 in the hands of Lois Lane.